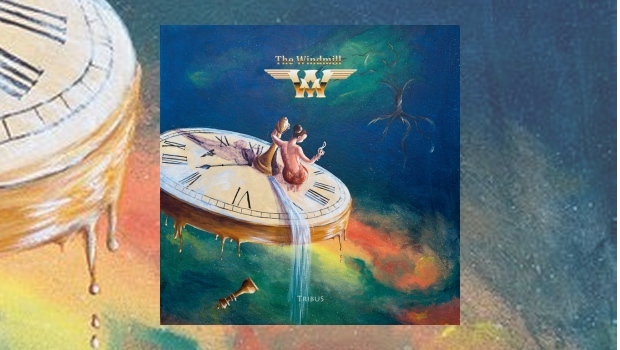 Apollon Records are beginning to become a label of note and are releasing some great Neo Prog albums these days, with this album, Tribus, from The Windmill, being one of them. Standing alongside label mates Arabs In Aspic as being yet another fine example of Scandinavian progressive rock, although The Windmill originate from Norway as opposed to Sweden. Still another fine Norwegian progressive rock group that can proudly and rightly stand alongside Gazpacho, Wobbler, White Willow and Motorpsycho etc. There must be something in the water in those fjords that impresses and allows these guys to create such great music. The Windmill are an Oslo based six-piece band and despite being in existence for some seventeen years this is only their third album release. Nonetheless this album is a very intriguing and interesting one, with strong echoes of the likes of Camel, especially with the flute work of Morten Clason, Pink Floyd, and oddly enough modern-day Deep Purple, in places. This is a fine sounding album and the playing throughout is exemplary, as are the production and mixing values from Karl Groom of Threshold. So the sound is crisp and clear, with good separation between the instruments and vocals. Erik Borgen does sing with a slightly accented delivery, however, that does not detract from the quality of the music in any manner at all. Of the five tracks, the opener The Tree runs for almost twenty four of the album’s fifty two minutes, a slow burner that begins as an extended instrumental, lasting almost seven minutes, before the vocals come in. At this point the piece builds in atmosphere and intensity, displaying the lovely light touches of Morten Clason’s fine saxophone and flute, the latter of which succeeds in giving the song a lightness even in its more intense moments. It’s a good song with some fine guitar parts, the time passes swiftly and there is not a dull moment. A really strong opening track that sets the listener up for all that follows. Second track Storm is another fine piece, with crashing wave sounds to open, a pulsing drum beat and solo bass guitar run, prior to synths enlarging the sound. The flute of Clason can be heard playing sweetly and lyrically over some great acoustic guitar passages. It’s a very impressive track with some nice fluid guitar lines. This is all about melody and not just showing off, so even when the guitar gets more forceful it’s still the fine ensemble playing and structured that shines through, all neatly contained in a ten minute long instrumental with lots of changes in tempo. This is a very strong and satisfying piece of music that plays well and is a great listen, enjoyable and impressive indeed. Dendrophenia (the fear of trees or of being in wooded places like forests) is a bit more muscular with singer Erik Borgen sounding not unlike Deep Purple’s Ian Gillan, which is fine by me as it’s a great sounding track all told and Borgen has an excellent vocal delivery. Whilst it’s a very short track it is worthy of its place on the record. After this follows another epic, Make Me Feel, which once again features great flute playing from Morten Classon and some moody bass lines that propel the piece along. In fact, the more that I hear this album the more impressed I become, it has moments of brilliance that make for something very special indeed, and one can only hope that it’s a spur to further activity as this band have talent a plenty and really deserve a stage to be heard on. The final track, Play With Fire, carries the Deep Purple styling once more, with more great flute lifting the song from the mundane and into something with far more promise. With good lyrics, a great riff drives the song to a very satisfying conclusion. This really is a great album and one that you need to hear. For me, its great musicianship and lightness of touch make this stand out significantly from the mass of stuff that gets released under the progressive banner. I really enjoyed this album and The Windmill are one that I certainly would like to hear a lot more of in the future.